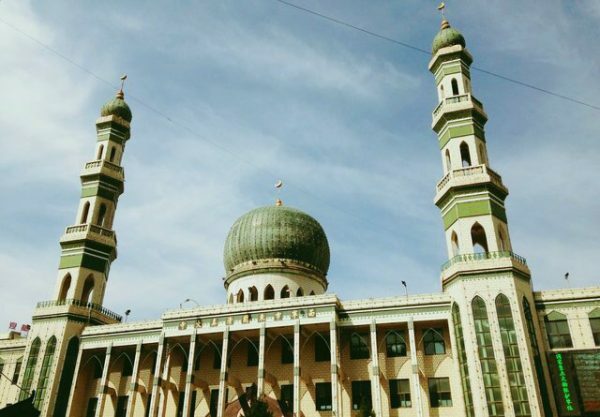 With over 25% of Qinghai’s population being religiously Muslim, it’s no surprise that mosques play a focal role in several of the province’s cities. And none are more magnificent than Dongguan Mosque, the largest in the province and one of the largest in China as a whole. It’s situated in the provincial capital of Xining and was originally built in 1380, during the Ming Dynasty (1368-1644), but was renovated in 1979. Its characteristic jade-green dome, towering minarets, and pearl white arches betray a mixture of Han and Central Asian influences in its architecture. In many ways, it resembles a traditional Chinese palace far more than a typical Central Asian mosque. Yet, combining the best of both worlds, its unusual hybrid nature has only served to boost its popularity with tourists! 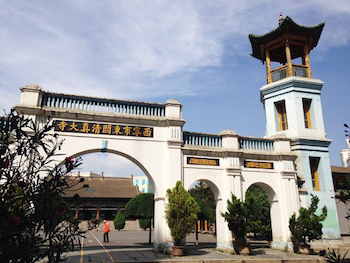 The entrance is marked by a huge white arch with the name of the mosque inscribed upon it and, on either side, the 8-metre-high (26 ft.) Xuanli Pavilion is where the imams perform the call to prayer every morning. Beyond the gate, a large square covering a colossal 30,000 square metres (323,000 sq. ft.) stretches out in front of the mosque’s main building, the prayer hall. This splendid hall, resplendent with ornaments and wood carvings, can hold more than 3,000 people at any one time. It faces the east so that worshippers can easily pray in the direction of Mecca. Within the Muslim community, this mosque is revered as a centre for higher learning and over 7,000 devout Muslims gather here every day to worship. Every Friday it regularly attracts more than 50,000 worshippers for lunchtime prayers, while during the festival of Ramadan it can draw crowds of over 300,000. That’s over three times the number of people that attend Reading Festival each year!